The Great British Care Awards are a series of regional events throughout England. We are in the West Midlands Region and there is a glitzy ceremony in Birmingham on 30th November. The awards pay tribute to individuals who have demonstrated outstanding excellence within their field of work. They celebrate excellence in the care sector and we are delighted to have two nominees. Myla has been nominated in the Care Home Worker category at The Great British Care Awards. She is originally from the Philippines where she qualified and worked as a midwife. She moved to England 15 years ago and has worked at Summerdyne ever since. Through our Heritage Manor training program, Myla has completed Level 2 & 3 in Health and Social Care. She is very keen to learn and has a positive attitude and a willing heart. She is proud to develop her career in care. As a natural carer, her philosophy of care is “looking after everyone like they were her own family”. Myla works well in a team and makes sure each day is special for our residents. 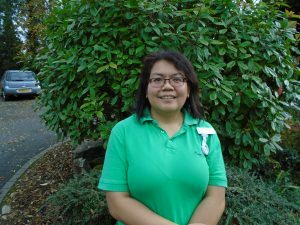 When not working, Myla enjoys reading and walking, but she will say her greatest love is caring for our residents. Nancy has also been nominated in the Care Home Worker Category at The Great British Care Awards. She lived for many years on the North Yorkshire Moors, but now lives on a boat in Stourport. For 3 years she has worked at Summerdyne and has worked in care for over 11 years. When not at work, or attending to her boat, Nancy enjoys making jewellery and clothes. While employed at Summerdyne, Nancy has completed the Care Certificate and also Level 2&3 in care. Keen to develop her caring skills at every opportunity, Nancy puts all her knowledge into each shift she works. She understands the concept of “person centred care” putting the residents always at the centre of all she does. Nancy has a “can do attitude” thus making her whole presence and body language very reassuring and comforting for our residents. 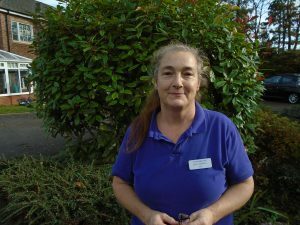 Her quiet yet reassuring personality and that works really well with all our residents, but particularly with residents with dementia. It is lovely to be able to champion our staff and recognise their excellence in care at these Awards. Best of luck to Myla and Nancy from all of us at Heritage Manor.